Thanks to a $6,000 grant and donations from local businesses a struggling native plant nursery, staffed by State Park volunteers, has been transformed from a weedy plot of land to a well-kept gravel work area with new potting tables for the plants and storage for tools to protect them from the harsh salt air. Thanks for the grant go to Anchor Brewing of San Francisco, which generously donated the funds, and to the California State Parks Foundation, which passed Anchor’s donation on to CSPA as the grant for the nursery. The State Park maintenance staff helped volunteers clear weeds and level the area, lay down landscape cloth to help prevent weeds from returning, and then spread gravel on top of the cloth. The grant paid for all these supplies. At the request of CSPA, Big Creek Lumber of Half Moon Bay supplied most of the lumber needed for new tables—used for potting plants and plant storage. The grant and donations from Hassett Ace Hardware of Half Moon Bay, also allowed the nursery to acquire more tools and two storage sheds. CSPA sincerely thanks these local businesses for their support. Why Is There a Plant Nursery in a State Park? California State Parks are responsible for protecting, restoring, and maintaining the natural resources within their parks. The parks contain some of the best remaining examples of natural California, but the land in the parks is rarely pristine and has often been altered significantly. The San Mateo Coast Sector, stretching from Gray Whale Cove to Año Nuevo, encompasses nearly 13 thousand acres of land with natural resources that need to be managed and preserved. Restoration and maintenance of this land is a major challenge, and the nursery plays a key role in that mission. The nursery volunteers collect seed in parks along the coast to grow local native plants—as many as 7,000 annually—that are used to restore areas that have been altered through human use or invaded by exotic plants. Plants from the nursery are also used to plant prominent public areas and demonstration gardens that can be used to educate school groups and visitors about California native plants. The nursery saves State Parks money by annually providing plants valued at $25,000 that would otherwise have to be purchased from commercial nurseries. In addition to awarding the grant that made upgrading of the nursery possible, the California State Park Foundation provides ongoing support for the nursery and the parks through its Park Champions Program. The program organizes volunteers to help with State Park projects, including native plant restoration. 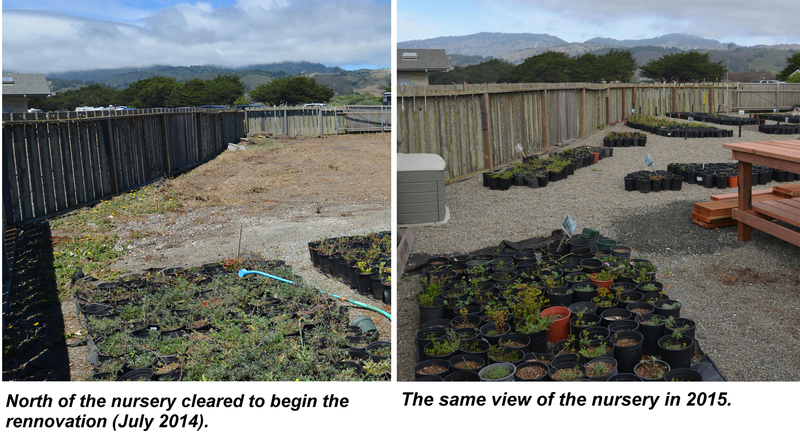 The nursery supplies them plants to be used for their restoration work along the coast; and, in return, Park Champions provides an annual budget to pay for nursery expenses, such as the purchase of potting soil. Want Native Plants for Your Own Garden? You can visit the nursery during Coastal Wildflower Day and, for a donation, take home some of the native plants for your own garden. 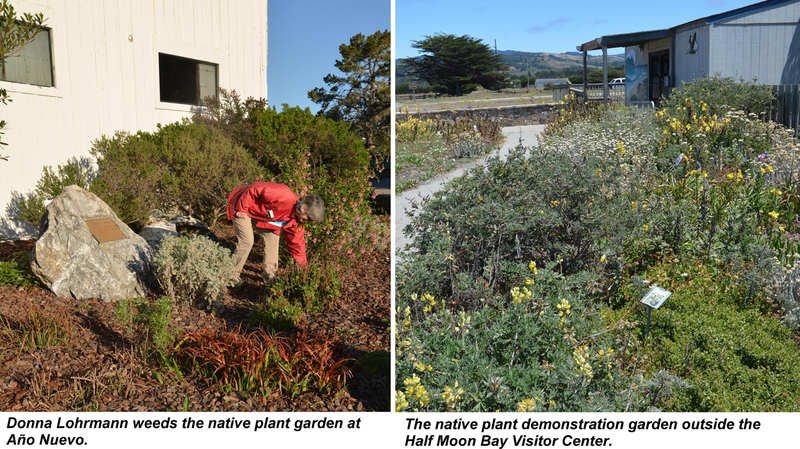 To be held at Half Moon Bay State Beach in April each year, the Coastal Wildflower Day celebration will not only showcase the nursery and the State Park restoration programs but also encourage public appreciation of the importance of native plants for the health of wildlife and our coast.